Have you ever watched a trailer for a movie that was so good that it immediately sold you on the film, regardless of what your better judgment might tell you? We’ve all be there at one point or another. More often than not, this kind of reaction seems to manifest itself in a disappointing time at the theater, at least in terms of or expectations for any given film. Movie trailers have been around since the dawn of cinema. Just as the filmmaking landscape itself has changed drastically over the last century, so too has the art of marketing films. Film going audiences have become smarter and smarter with every passing generation. Thus the way that the industry markets these products has evolved to become an art form in itself. As a result, we’ve seen a bunch of great trailers for movies in the last few decades that have either been so good that the film simply couldn’t live up to the hype. Some of the trailers have even blatantly mis-marketed the product. Either way, here’s our list of the top 10 great trailers for bad movies. A Good Day to Die Hard is a movie that kind of came out of nowhere for a lot of people, and this first teaser trailer for the film certainly plays into that idea. Part of the reason why this trailer is so effective is that it plays with this idea of expectation, especially when you realize it’s for a Die Hard film halfway through. Unfortunately, what we got was a little tongue and cheek for most people. The final line in the trailer says all that needs to be said about the actual quality of the film itself. Much like the first film in the series, Transformers: Revenge of the Fallen had a great deal of anticipation around its development and release. Not only did this trailer tease a more extreme stylization of Bay’s approach from the first film, but it also promised more of everything in general. Most importantly, it posed a very interesting question: who, or what is “the Fallen?” Aside from pretty much abandoning this mystery in the actual film itself, the movie was a massive disappointment in almost every single way imaginable. At least until its sequels came out. When the first teaser trailer for Thor: The Dark World hit the back in 2013, things seemed to be looking up for the franchise. The Dark World seemingly built on everything that was established in the first film. It also added an acclaimed TV director in Alan Taylor, world ending stakes, and a dash of extra foreboding darkness. However, instead of getting something that delivered on those qualities, The Dark World turned out to be one of the worst entrees in the MCU. Taking off of the success of District 9’s viral marketing campaign the previous year, this teaser trailer for Battle: Los Angeles uses mystery—along with a few brilliant visual moments—to rope us in. What starts as a seemingly creepy, faux documentary about alien invasions reveals itself to be a grittier take on the genre than we had seen in the past. This trailer painted Battle: Los Angeles to be a modern successor to 90’s alien invasion flicks like Independence Day. But what it turned out to be was a dreary, repetitive mess that is in no way memorable. Other than this trailer, of course. Still one of the most talked about trailers of the modern age, the “Bohemian Rhapsody” Suicide Squad trailer was so influential that it caused the studio to hire the company who cut it to edit the actual film itself. It’s easy to see why: this trailer is fun as hell. Unfortunately, the exact reason why this trailer drove audiences to see it is exactly the reason why the film itself doesn’t work. The tone of this two-and-a-half minute trailer was almost nowhere to be found in the movie itself. This infamous trailer for 2001’s Pearl Harbor is perhaps the most pandering teaser to have ever been released. Using pieces of Hans Zimmer’s wonderful score from the criminally underrated film The Thin Red Line, along with the promise of Ben Affleck starring in a Michael Bay-directed war epic—this trailer is supremely promising. Unfortunately, this was a three-hour romantic epic disguised as a war movie, even though you wouldn’t think that based on this trailer. Aside from the cheesy graphics at the beginning, this trailer still offers the great promise of further building on the success of the first two installments. With the exception of another film later on down our list, this initial trailer for Spider-Man 3 is easily one of the best comic book teasers of all time. It’s just too bad that the actual film ended up being a misguided attempt to shoehorn Venom into the movie. Because based on teaser, Spider-Man 3 had the potential to be great. When this amazing teaser trailer first hit the web in early 2012, it had been nearly 15 years since fans of the Alien franchise had a chance to feast their eyes footage from a new entry in the series. After many years of development hell in the form of a straightforward Alien prequel—along with much speculation about what exactly this new incarnation of film titled Prometheus would be—this teaser trailer revealed absolutely nothing. Part of the brilliance of a trailer like this is its simplicity and specificity. Unfortunately, the writers of the film didn’t get that note. Ever though the lackluster performance of Terminator 3: Rise of the Machines had nearly killed the series six years earlier, fans of the franchise were clamoring for an entry that took place in the “future war” setting only glimpsed in the first three films. In 2009, we got just that in the form of this extremely promising full-length trailer for Terminator Salvation. Aside form ruining a crucial twist in the film, this trailer is everything that the film was hoping to be, but couldn’t deliver. 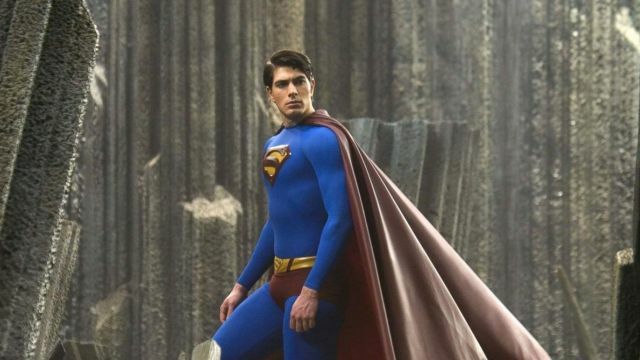 There’s something about this teaser trailer for Superman Returns that is pure magic. Maybe it’s John Williams’ iconic score, the Marlon Brando voiceover, or just the overall tone. It’s got everything that you can ask for in a teaser without giving away the plot. Nostalgia is certainly a factor here, but there’s something undeniable about how effective this teaser is. It’s too bad that this trailer set the bar so impossibly high that—even in if the film was good—it could have never lived up to the promise of this trailer. What do you think about our list of the top 10 great trailers for bad movies? Let us know in the comments below!